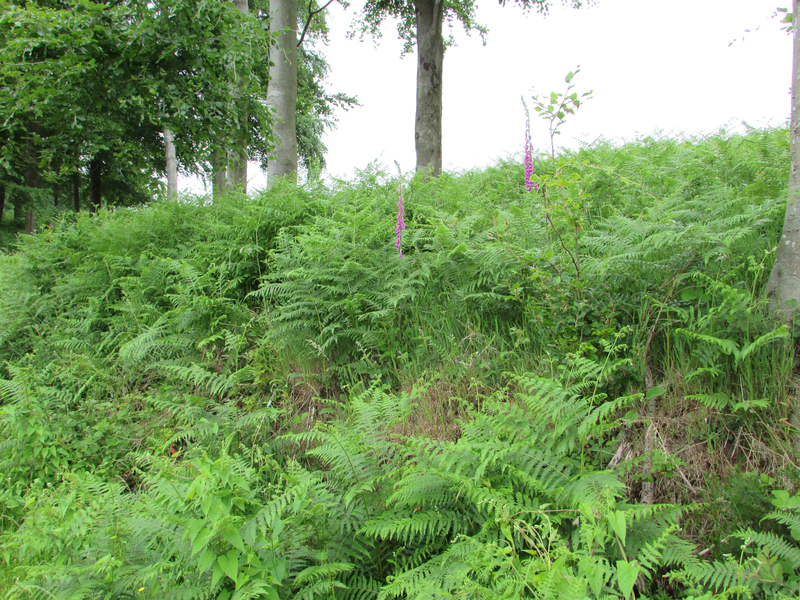 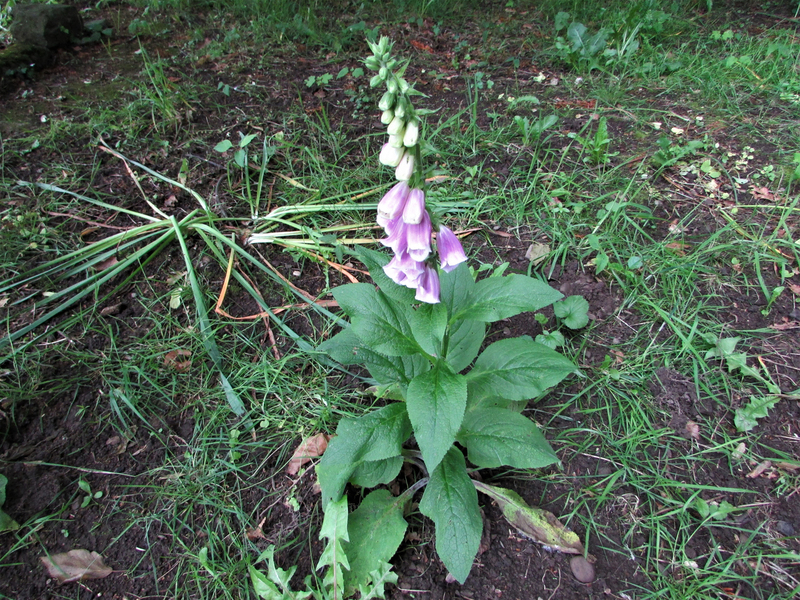 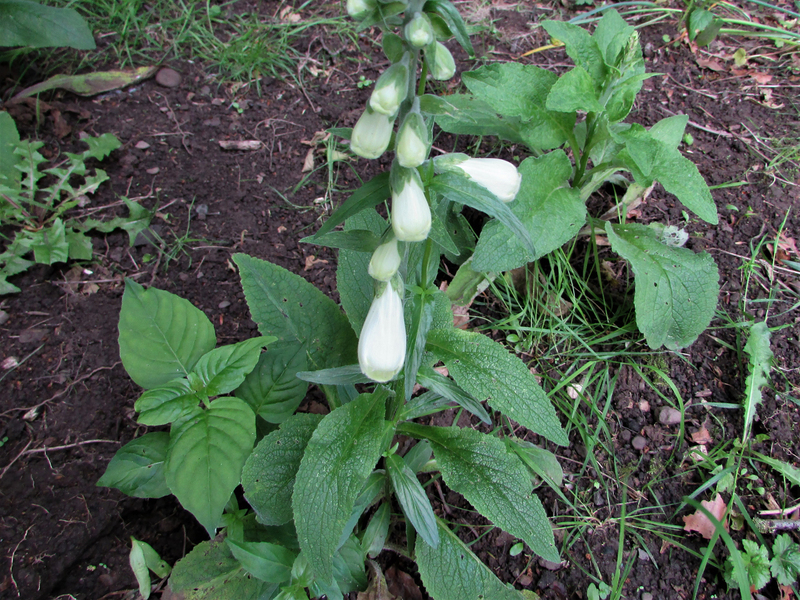 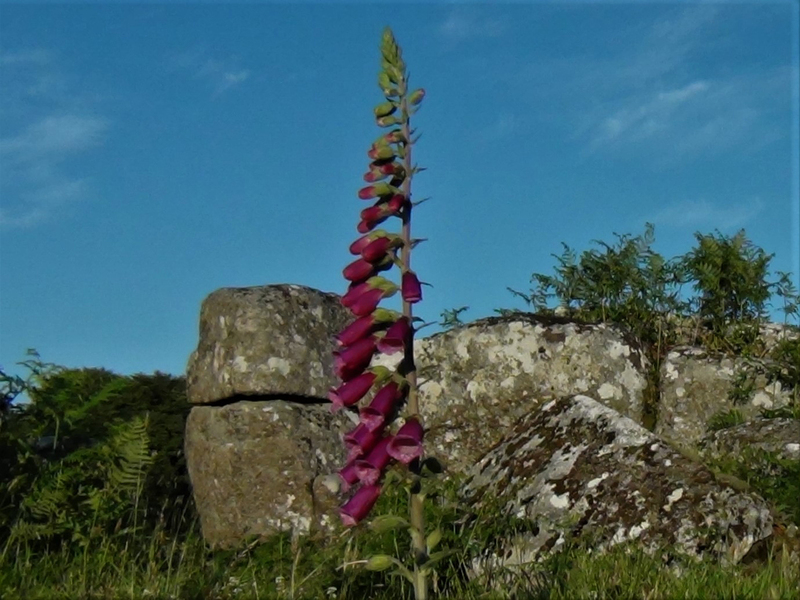 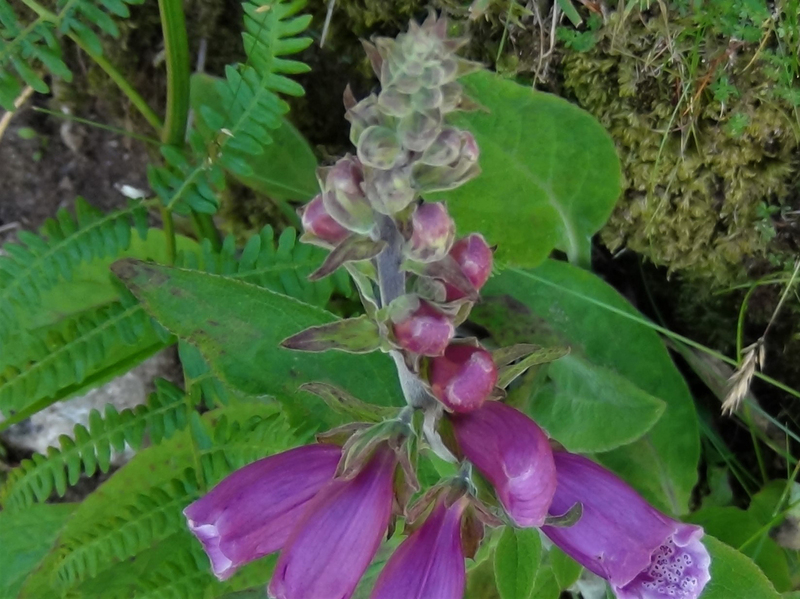 There are a few species of foxglove and these poisonous plants can be hard to identify until the flowers appear. 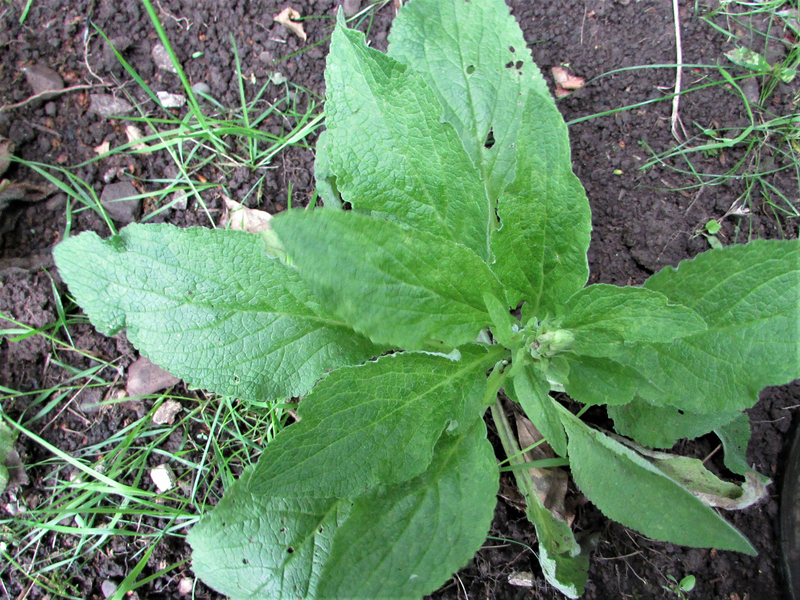 Lanceolate and looking a little like Green Alkanet or Comfrey leaves. 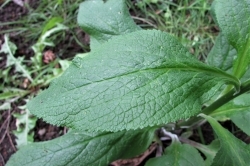 In its first year the leaves grow as a rosette, in its second year it will send up a flower stem. 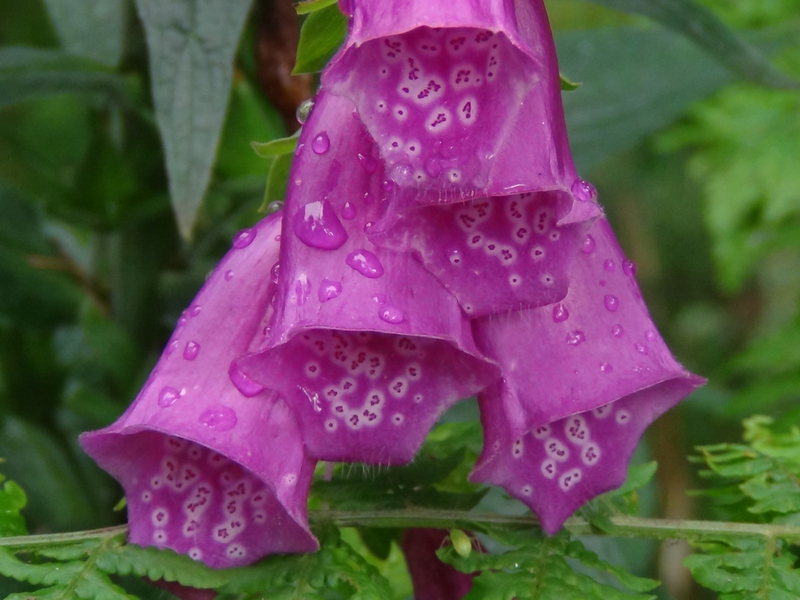 Beautiful trumpet shaped flowers with speckled markings on the interior. 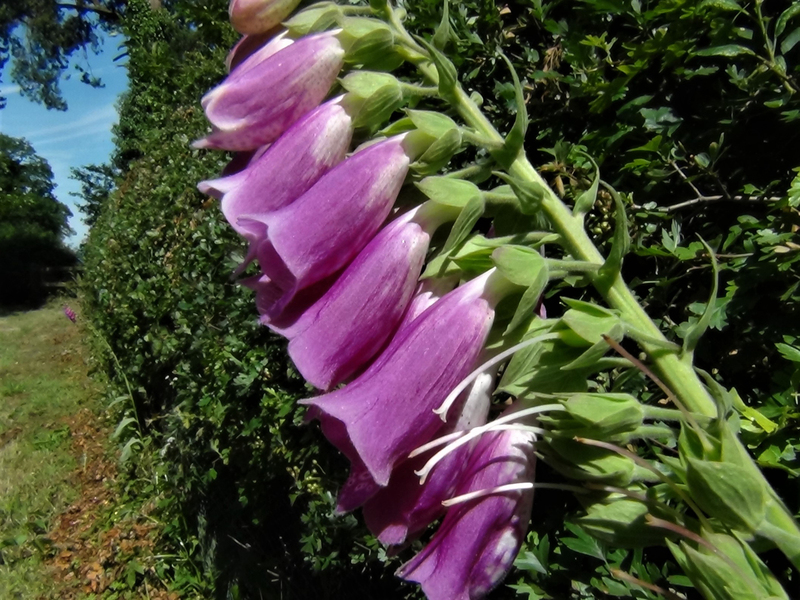 They have been grown in many different colours, white, yellow, red, pink, lilac and deep purple. 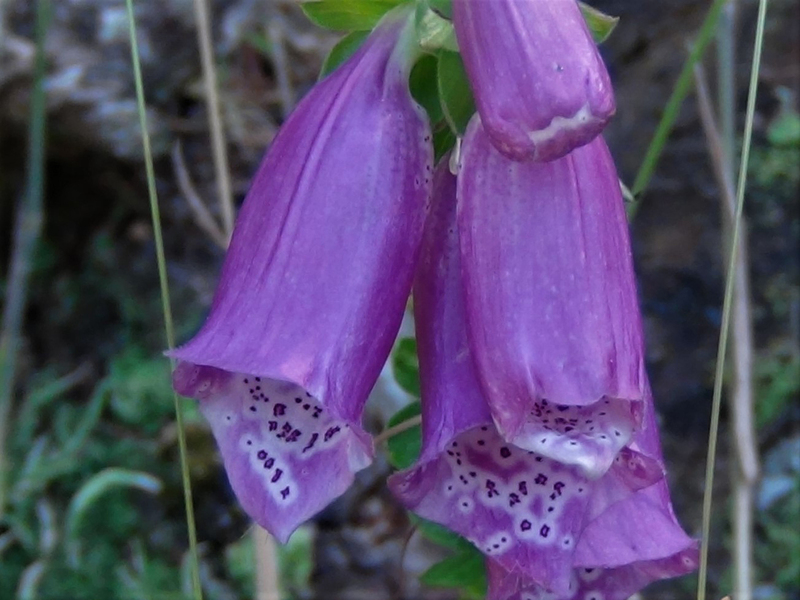 Deep purple is the most commonly found. 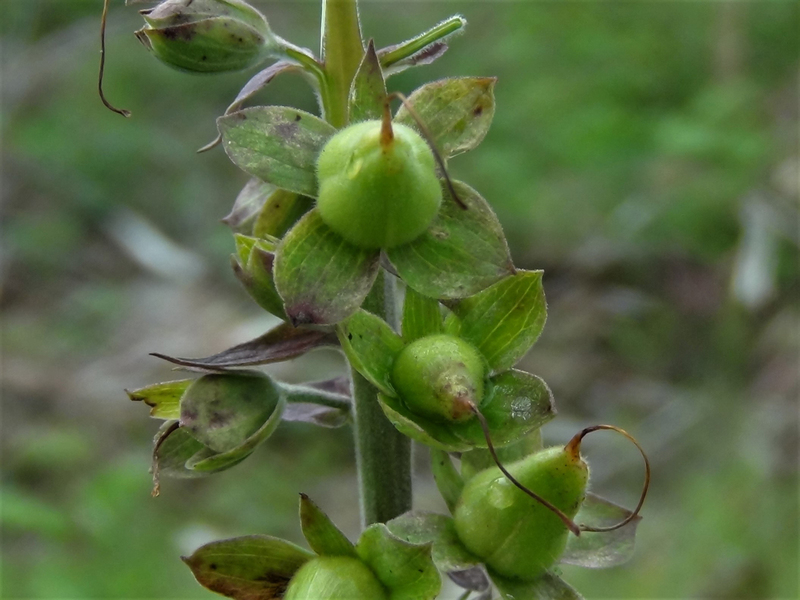 Pear shaped seed pods running the length of the stem. 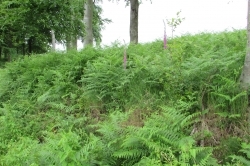 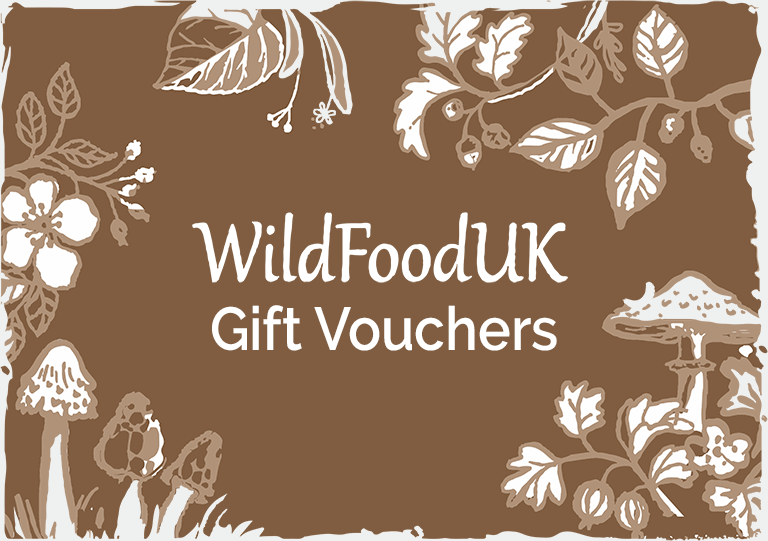 Hedgerows, woodland edges, gardens, parks and waste ground. 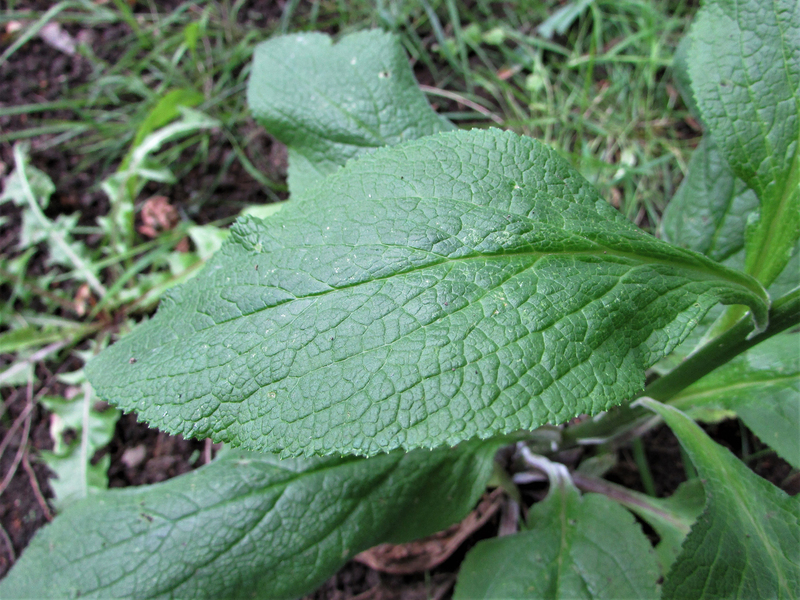 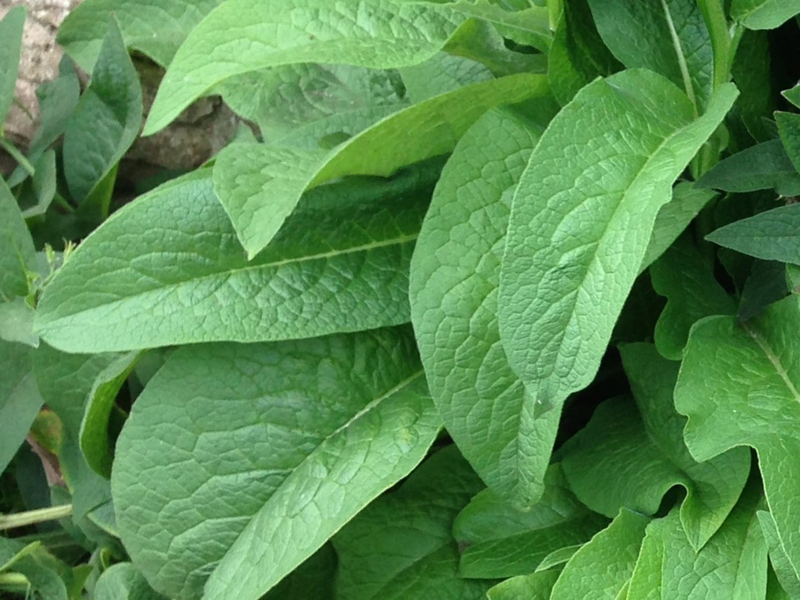 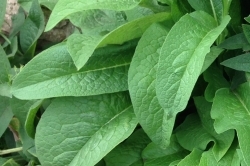 Before coming into flower the leaves can look similar to that of Green Alkanet or Comfrey, pictured. 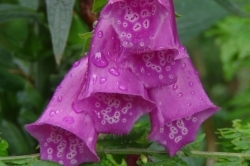 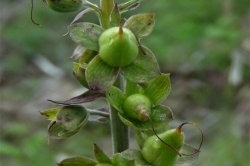 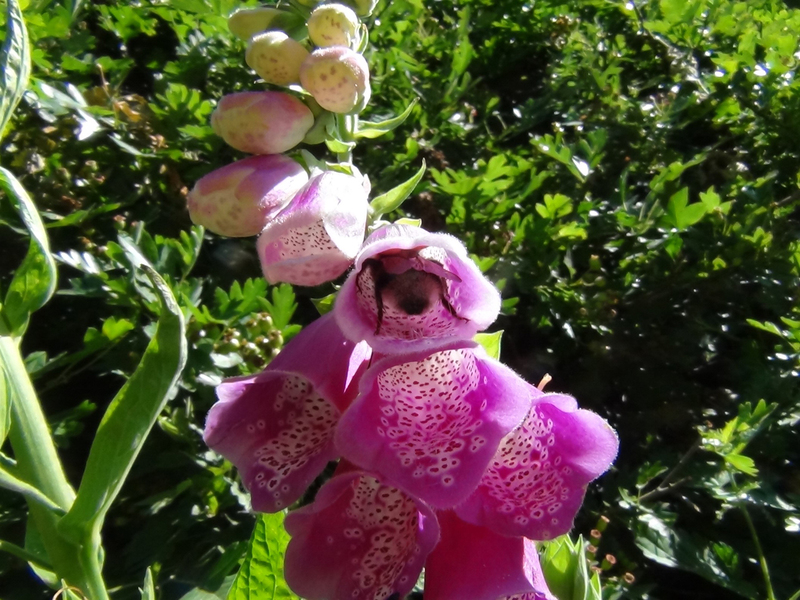 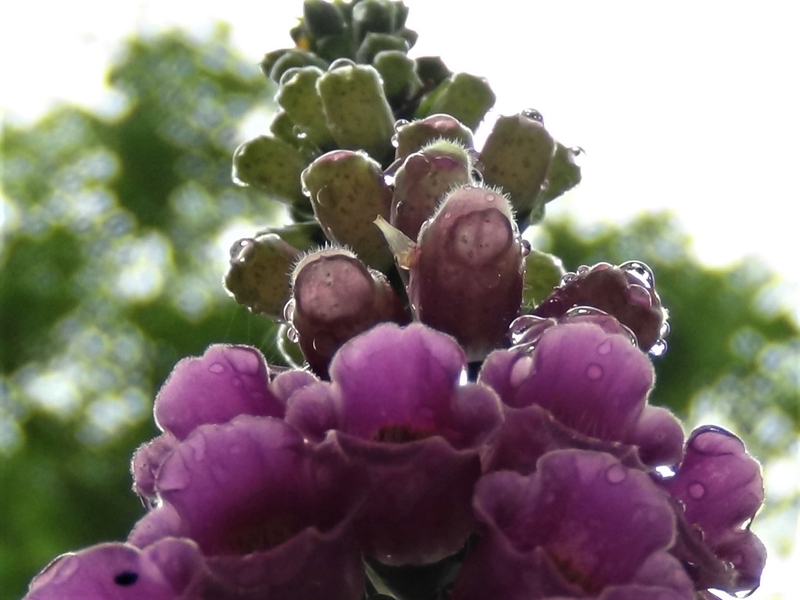 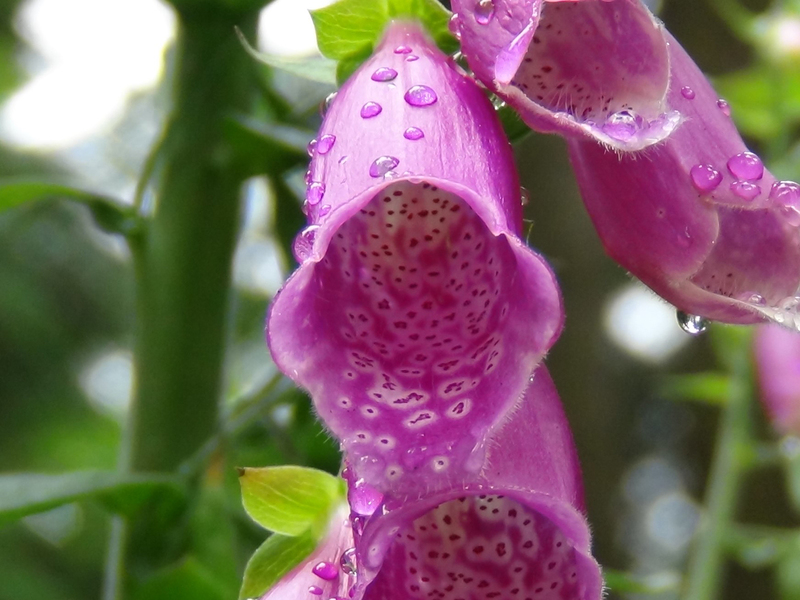 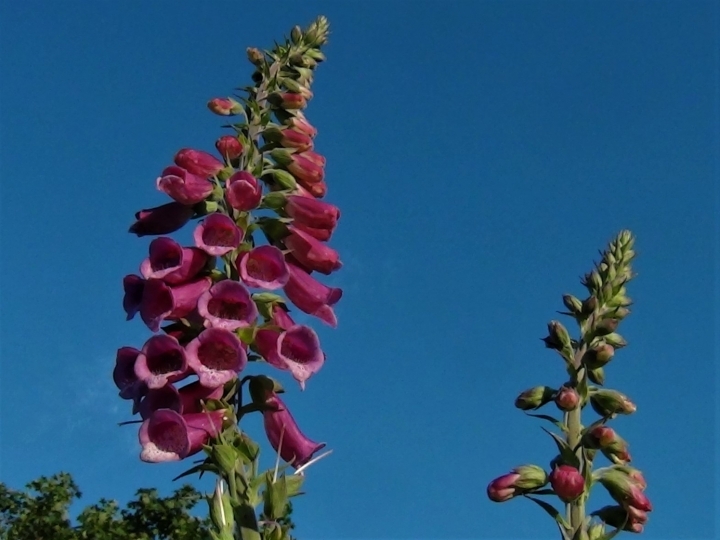 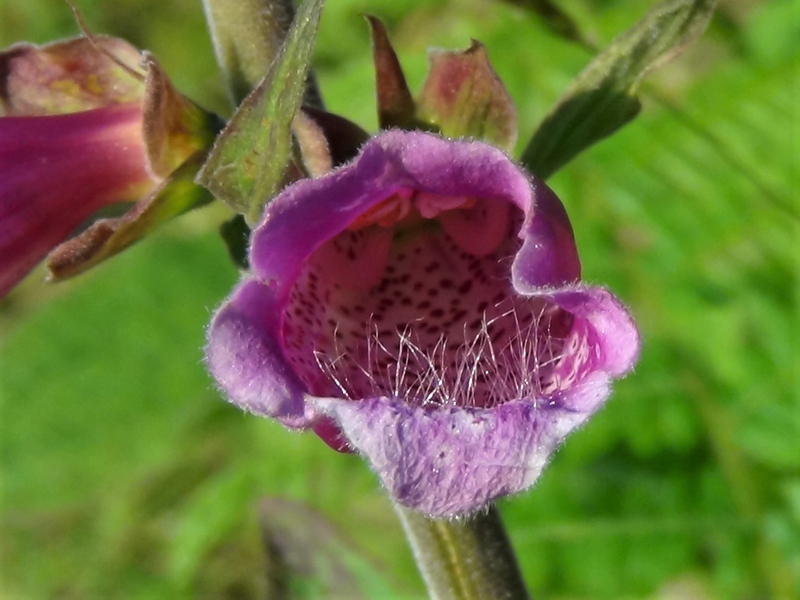 Digitalin from Foxglove was used to treat heart conditions. 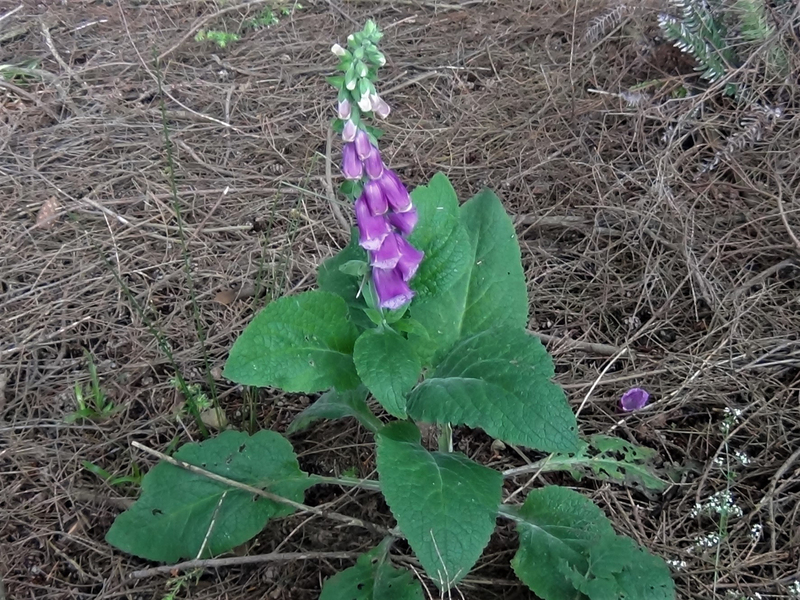 The entire plant is very toxic including the leaves, flowers, seeds and roots.